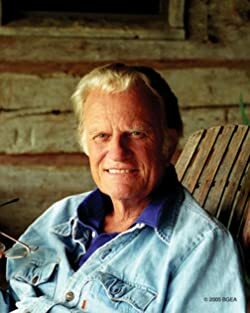 Billy Graham, the world-renowned author, preacher, and evangelist has delivered the gospel message to more people face-to-face than anyone in history and has ministered on every continent of the world. Millions have read his inspirational classics, including ANGELS, THE SECRET OF HAPPINESS, PEACE WITH GOD, THE HOLY SPIRIT, HOPE FOR THE TROUBLED HEART, and HOW TO BE BORN AGAIN. Please enter your email address and click the Follow button to follow Billy Graham! A special bundle of two books authored by Billy Graham. "Angels" and "Peace With God".